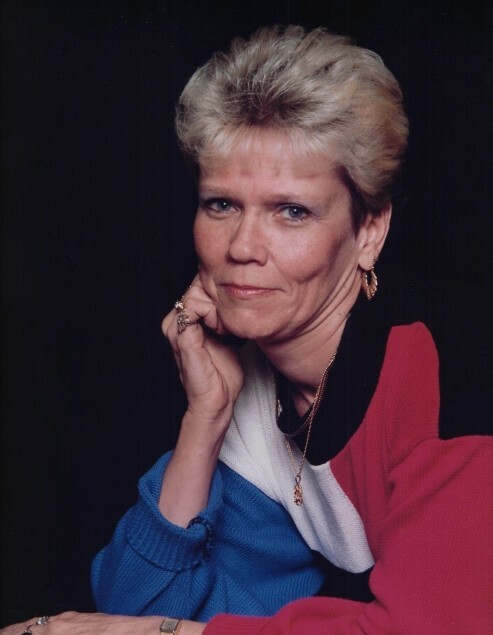 Mrs. Lou Anne Colburn, age 70 of Elkton, passed away on Thursday, November 22nd at her home of natural causes. She was born November 15, 1948 in Calhoun, Kentucky the daughter of the late Elmer Lee and Sue Ella Ambrose Hamilton. She was Catholic by faith. She was a member of the Todd County Fish and Game Club and the VFW Ladies Auxiliary Post 1913 where she received the “At A Girl Award”. She received ten trophies for fishing which she loved to do as well as crocheting and dancing. She was preceded in death by her parents as well as one son Thomas “Rusty” Russell Crosline and one sister Martha Sue Hamilton. She is survived by her husband Mike Colburn of Elkton; one son Terry Drane of Owensboro; two daughters Wendy Foster of McAlpin, Florida and Nikki Drapier of Owensboro, Kentucky; one sister Cecilia Powers of Island, Kentucky; several grandchildren and great grandchildren; several nieces and nephews and her beloved dog Fabio. There will be a Graveside service on Wednesday, November 28th at 1:00 at the Kentucky Veterans Cemetery West in Hopkinsville, Kentucky with Randy Powers officiating.